4 x 2g tablet pack. 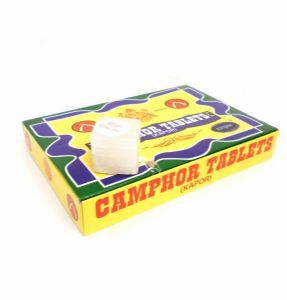 Camphor tablets are made from a white substance from the camphor tree. It is used for spiritual reasons but has been known for other uses including pest repellent like moth balls.